Some of you may know that I have an annual golf outing with three friends and we have been playing together since we were 17 years old. Now, without wishing to appear boastful, it's relevant to this little tale that I'm better than any of them. I was a single figure golfer as a kid and if you go to the Drift Golf Club in Surrey you'll see the Downie name scattered around quite liberally in the trophy room. My three chums were all cricketers and over the years have suffered from various ailments including hooking, slicing, topping and shanking. We.ve played some fab courses together though - from Druids Glen to Paris National I've boomed one down the first only to try and pretend I'm not with them as they amuse the gathered audience with a collection of airshots, slices into the next county and even (I swear this is true) a shot that ended up thirty yards behind the tee. How much did I enjoy saying "It's still you Steve"? Better still we always play a few rounds of Greensomes which is where you take alternate shots. Usually my partner gets to play from 300 yards down the middle but woe betide if I hit a duff drive and have to take my partners tee shot. I've played from the ladies tee on many an occasion as well as out of bushes, bunkers, ditches and adjacent fairways....all the time with people passing by and smirking, thinking what a duffer I must be. I've suffered in silence because that's what you do for friends. Well, it's payback time. Golf is my past but cycling is my future....more accurately cycling with my father-in-law is my future. 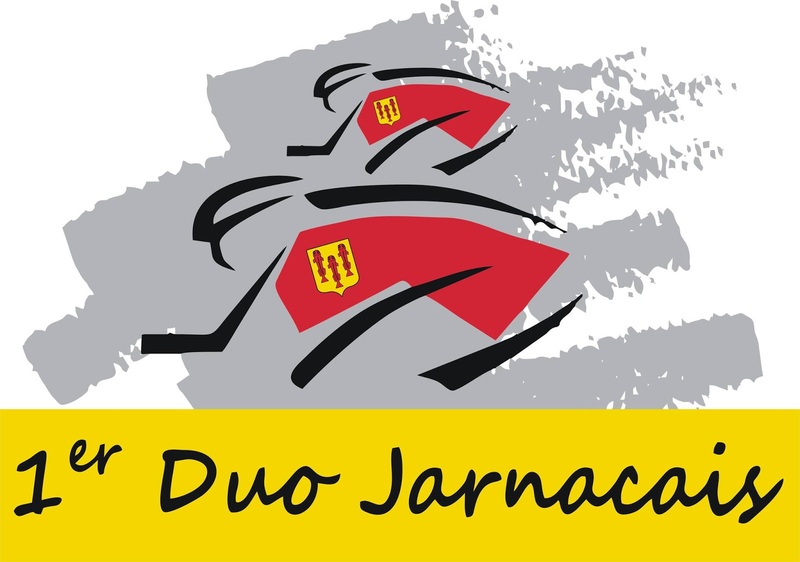 You see we've entered a 20km, two man, time trial in October - the "Duo Jarnacaise". You might see where this is going. Pa-in-law is not just a good cyclist, he's a very good cyclist indeed. He's been cycling all his life and has conquered the Ventoux, the Tourmalet and any other European mountain worthy of the name. He has legs of oak, lungs that could power a steam train and a competitive spirit that makes Sir Alex Ferguson look like a politically correct junior school coach. We cycled out to look at the circuit today and had a trial ride round. Pa-in-law had this crackpot idea that we'd be taking it in turns to shield the other from the wind and that this was some sort of team event. Not so - we'll go fastest if he drags me around behind him but we'll still be way slower than if he was doing it by himself. At the end of our practice I was wheezing, panting, dead on my saddle but generally pretty pleased with myself. Now, I get on like a house on fire with "beau pere" - he's more than family and is one of my best friends on the planet. So I could tell he wasn't happy. Our ride home started with some chuntering. Words like "humiliation" and "disgrace"started being bandied about and soon developed into "knew you were a wrong 'un" and "I'd be better off doing it with your mother-in-law". Haha....I've been waiting 35 years for this....you just have to take it on the chin Dave. I know what it feels like to be dragged down but as Mahatma Gandhi said "The law of sacrifice is uniform throughout the world". If anyone wants to come and cheer us on, the Duo Jarnacais team time trial takes place on Sunday 6th October. OK, I know that we don't have the dramatic scenery to match the Alps & Pyrenees. Come to the Charente and you won't be faced with the horrors & challenges of Alpe d'Huez, Mont Ventoux or the Col du Tourmalet. However, I genuinely think that cyclists of all standards will be thrilled if they bring their bikes & obligatory lycra to the sunny Charente. For once I remembered to take my camera out with me yesterday in the early evening and took a couple of snaps to show what I mean. This first one is of the bridge at Juac. It is one of many that criss-cross the river between Jarnac and Chateauneuf. 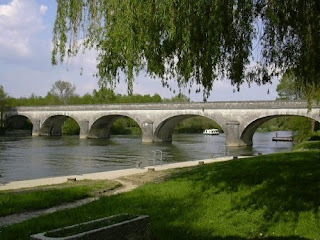 Although we went "off piste" yesterday, our regular lunchtime route is a 30km circuit that starts in St Meme and goes through Saintonge, Graves, Vibrac, St Simon, Juac, Bassac, Jarnac, Gondeville and back home. My second pic was taken when we deviated from this route and climbed the short hill to Moulidars. This small lane actually runs in front of a house that I bought for a client a few years ago, it's an idyllic spot. There's an equally nice view the other side of the hill that yesterday was looking down over dazzling sunflowers & the ubiquitous vines. The juxtaposition of the two with the greens & yellows sparkling in the evening sun was truly spectacular but sadly I was hurtling downhill at the time and didn't have the legs to cycle back up to capture the moment. 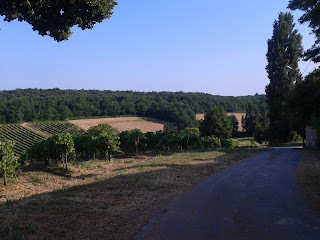 Was out working this morning - driving through the vines, in the Charentaise sunshine, with the windows down and the music turned up maybe a notch too loud. It made me grateful to be alive and so, so glad that we took that leap of faith ten years ago and made the move to France. The two albums I was listening to are en vogue in our household as it's two artists we have seen perform live recently. The first - Passenger - we saw in Paris at Le Trianon and he was superb. Here's a little taster of my favourite song taken from a time before he hit the charts. The second album was that of a busker we saw in Covent garden recently called Sammy Jay. She hasn't quite hit the big time yet but perhaps one day she will (don't forget that my youngest spotted Ed Sheeran way before he became famous and has a knack for these things). Here she is singing Price Tag. More on the 5th annual "Investing & Living Abroad" survey by BNP Paribas International Buyers. It was interesting (but not all surprising) to see that every single region in France saw the number of international property buyers decrease in 2012. Yup, sleepy old Poitou Charentes, with it's low property prices, glorious beaches, rolling hills covered in sunclad vineyards and friendly, old fashioned, locals. Here in paradise we actually saw a 4% increase in the number of sales to international buyers who spent an average of €145,000. 78% of these buyers were from the UK, 13% from Belgium, 5% from Holland and 4% from Germany. Who knows what the reason is? 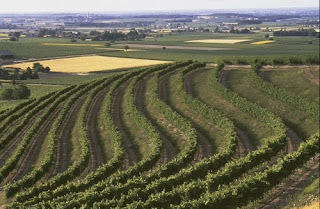 Perhaps it's the micro climate that makes it the second sunniest area of France (well not all of the region but certainly the arc between La Rochelle and Angouleme), or maybe it's the attraction of Cognac itself which has seen sales of the amber nectar boom over the last few years. Whatever - they say that in troubled times it's the prime areas that fare best and I'd say that this is certainly true in this case. All those smart buyers are probably sat by the pool in their old, Charentaise, stone houses, with views over the vineyards, as I write this. The 5th annual "Investing & Living Abroad" survey by BNP Paribas International Buyers came out earlier this month. For those of us who earn a living working with international buyers they make pretty gloomy reading but there are one or two silver linings if you look hard enough. The headline figure is that house sales in France to "non resident" purchasers dropped by 29% to 10,663 (from 15,073). There is no getting away from the fact that it's a tough market and until consumer confidence returns many people will keep their hands in their pockets rather than splash out on a home in France. However, there are a couple of points worth highlighting. Firstly, those canny buyers taking advantage of the lower prices are spending more - on average €384,000 which is a €64,000 leap over the figure two years previously. Secondly, these tend to be astute cash buyers, with only 20% of them requiring a mortgage. Finally, we were shown the figures (which I have forgotten sadly) of UK expats who have sold but moved within France (ie moved to the next village along). I remember thinking that this figure was pretty high - not far short of the number of buyers from the UK. This flies in the face of all the headlines of "Brits fleeing France back to the UK". Anecdotally, I know far more expats who have sold and moved within France than expats who have returned "home". These figures never get reported and I'm glad that BNP Paribas included it in their research. I do firmly believe that there is a pent up demand and that once confidence returns we will see a big influx of international buyers again. Time will tell. 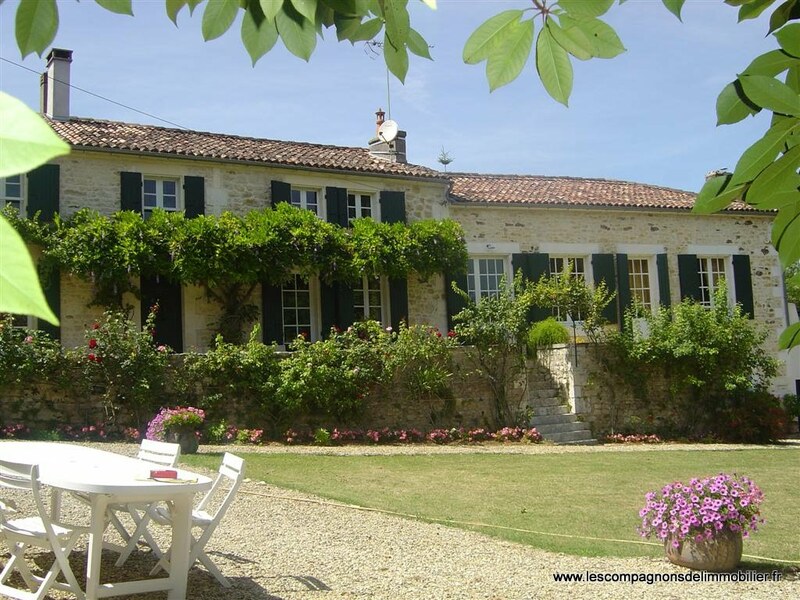 I have just finished showing clients round a selection of properties in the Charente valley, including the magnificent house shown above which is in a prime location right by Cognac golf course. We really did see some terrific houses - the weather wasn't kind which was most unusual in June but even with leaden grey skies my clients commented on the natural beauty of the shortlist we had put together. As 2013 progresses it's becoming clearer that many owners see no sign of respite to the "crise financiere" and are willing to accept offers so that they can move on with their life. This can only be good for the market as the gap between vendors & buyers expectations closes. Whether it's stood outside the school gates, over dinner with friends or chatting with local agents & notaires I'm constantly hearing tales of houses being sold at well below "sticker price" - at all price levels. Combine this with the ridiculously cheap cost of borrowing and the time could be right for picking up a property that has both long term capital growth potential and sheer natural beauty. The houses we visited this week ranged from around €350-500,000 and I'd say that they would sit comfortably alongside any portfolio of country houses that are being offered by my old employers such as Savills, Jackson-Stops & Staff and Chestertons. Just make sure you do your homework and work with someone who knows the local market intimately - that way you'll be able to negotiate hard and secure a bargain of your own. It's pretty clear from my Twitter timeline that the property industry is really embracing the cycling revolution. Admirably led by the Estates Gazette and their iconic deputy editor @samanthamcclary the major agents, developers, investors and assorted hangers on are all donning their lycra. The annual Cycle 2 Cannes ride has raised over £1 million pounds for property related charities and is supported by Savills, CBRE, DTZ and other worthies. 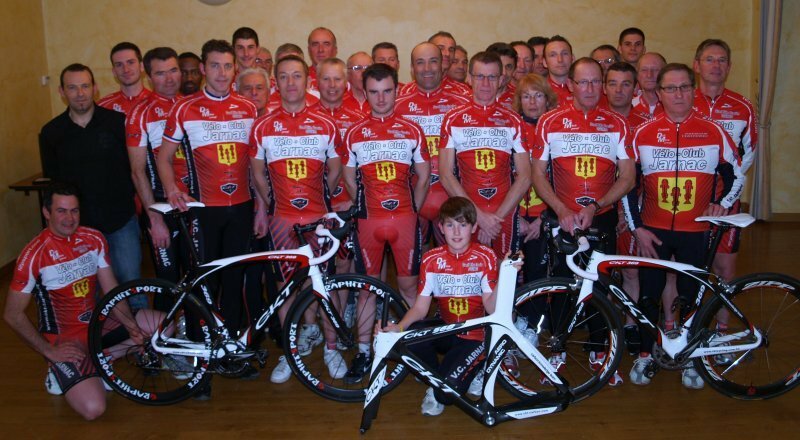 It's a ride that I'd love to get involved in and best of all I could cheat and join them halfway down France! All of this has driven me to buy myself a new bike to use when I'm seeing local agents or going to take a look around houses close to me. If it works then I'm buying a tandem to take clients on - the first "eco-friendly" buying agent that not only finds you a house but offers personal training at the same time....now that really is worthy of the word unique that we property folk like so much. With Chris Froome looking good for Le Tour in a few weeks this cycling boom looks set to continue. 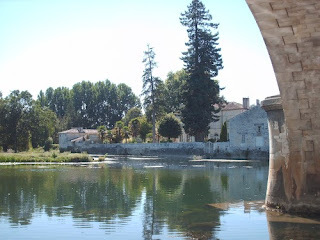 I was contacted by a TV production company yesterday who were quizzing me on cycling in the Charente - sadly I have a face for radio so don't expect to see me on your TV's any time soon but I'm sure that it would make a great feature. Vine clad hillsides, ancient stone bridges spanning the prettiest stretch of river in France and a cycle friendly culture...what's not to like! I have had a few people ask if I could expand on my cycling experiences following my post about joining the Velo Club de Jarnac. As you may know I joined the cycling club during the winter and was a little apprehensive about a) my ability, b) riding in a group and c) my bike. Well, it turns out that my fears were unfounded and I've really enjoyed being a member of the "poissons rouge" as they are known. We went out on each Sunday morning throughout the winter and there would usually be 20-30 of us. We would set off as a group and then after half an hour or so the peloton would split into two with the "racers" (cyclosportifs) going off the front and the "non racers" (cyclotouristes) dropping behind. I would do my best to stay with the racers and usually managed to do so - simply because the season hadn't started and we were going on flat courses and they were taking it easy. I have a hybrid bike rather than a road bike which didn't help and a couple of times I found myself drafting behind the support car to take a bit of a rest. Once the season began the racers would go off each week-end to compete and I have been seeking out local events for each Sunday morning. We tend to choose the longest routes of between 80-90 km's and these have been a great way of seeing areas & roads you wouldn't normally visit. Some of the scenery around Angouleme can be spectacular and I particularly loved the event that rode through my own village! We tend to check in at 8.00am and this is a chance to meet riders from other clubs. 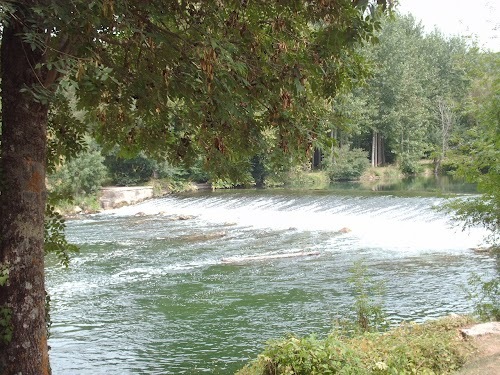 The ride itself tends to take around three hours and we don't stop at the "casse croute" or halfway house where the local club will offer coffee, cake and usually a glass of red! Sometimes we'll join forces with riders of a similar standard from other clubs but the one thing each ride in common has is that I struggle on the hills - the course around Blanzac was particularly tough as it took in the rolling hills and valleys of southern Charente. This Sunday we're going to Royan & back which will be flatter and is a round trip of 180 km's - by far the longest ride I have ever taken on. Who knows if we'll make it but I'm really looking forward to it as it will take us through some lovely towns like Pons, Gemozac and Cozes as well as perhaps enjoying an ice cream on the beach in Royan itself. For any keen cyclists who want a bit of technical info I ride a flat bar Boardman Hybrid Comp and usually average around 28/29 km/h when riding alone. When in a group this rises to well over 30 km/h. The club runs with the non racers usually average out at around 25 km/h so are fairly leisurely. The fact I ride a flat barred bike causes interest with my fellow poissons rouges but there's certainly no snobbery in the club. They do have some fantastic machines though and it's a little like having a beaten up Peugeot in a garage full of Ferraris. 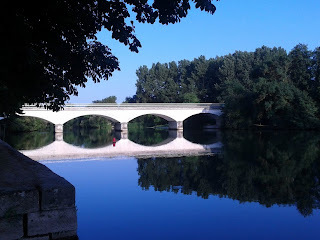 If you're thinking of cycling in the Charente and want some advice on routes (long or short) then please just ask - my favourite is still the 28 km circuit that follows the river and takes in Bassac, Vibrac, Jarnac and the beautiful bridges and locks that make this area so special. Search "A little drop of Cognac"
For a guaranteed best rate click here. Looking for a French mortgage? View a French mortgage "best buy" table here. Property professional with over 20 years experience with Savills & Chesterton. Lived in Cognac since 2003. I am a buying agent who sources and acquires property in the charente valley for international private clients.